Advent | What Do You Do for an Encore? Joey Alexander (piano), Larry Grenadier (bass), Eric Harland (drums). The incomparable Swingle Singers, with a long Medley from their album Noels Sans Passeport (1968) (Hey, I figured out what that means!) and the “White Christmas” with words at the end is from The Story of Christmas (1998). Jingle Bells, El Noi De La Mare, Hanej – Nynej – Jezisku, Canzone Dei Zampognari, Les Anges Dans Nos Campagnes, Oh Tannenbaum, La Peregrinacion, Go Tell It On the Mountain, Away In A Manger, White Christmas (without words), White Christmas (with words). Recorded in LA (2000) I think. This is the best rendition of O Holy Night that I know. The studio version on Mariah’s classic Christmas album (1994) is also great, but this one has some additional touches (i.e. the organ, and a bigger role for the choir) and is even better. Also, great live Gospel energy. Miles Davis on Late Night with David Letterman, NBC (1987). Miles Davis (trumpet), Marcus Miller (bass), David Sanborn (sax), with Paul Shaffer (keyboards, Late Night Orchestra leader). From An Oscar Peterson Christmas (1995). Oscar Peterson (piano), Lorne Lofsky (guitar), David Young (bass), Jerry Fuller (drums), strings arranged and conducted by Rick Wilkins. Another one of my favorite paintings. 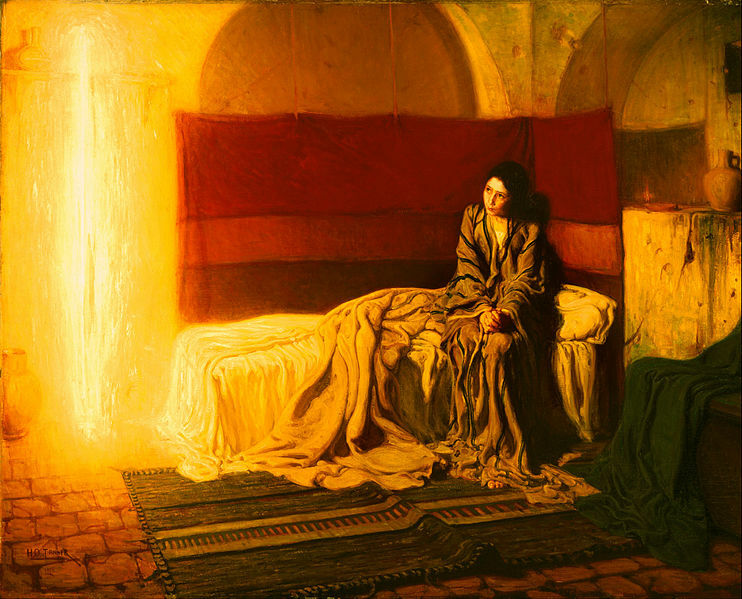 Henry Ossawa Tanner, The Annunciation (1898), at The Philadelphia Museum of Art. Painted in France by Tanner, an African-American painter. 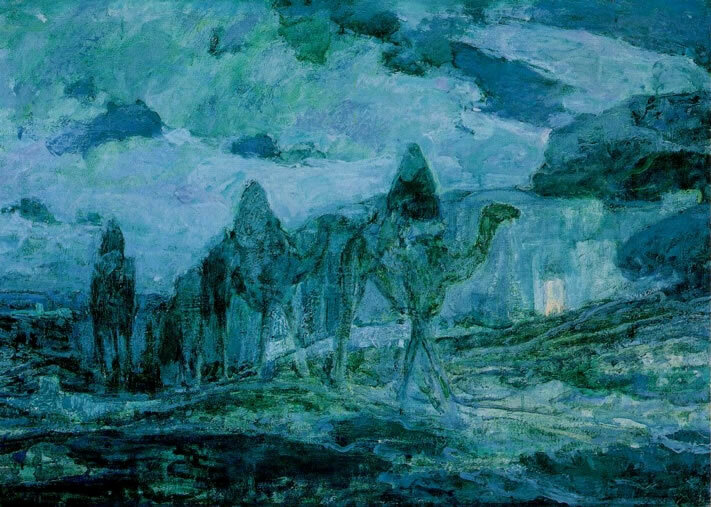 Tanner also spent some time in the Middle East to background this and other paintings with biblical themes. I may get some more of them up ere Christmas season is over. This one is worth clicking twice to enlarge. Jon Schmidt (piano) and Steven Sharp Nelson (cello). Ad te levavi – Introitus Dominica Prima Adventus. I will lift up my soul to you, my God, and confide in you; I will not be ashamed, nor will my enemies mock me. For all those who wait for you will not be confounded. To mark Advent, we give you Zoltán Kodály (1943), L’Accorche-Choeur, Vocal Ensemble of Fribourg, date of recording unknown. What happens when you put jelly in a toaster?